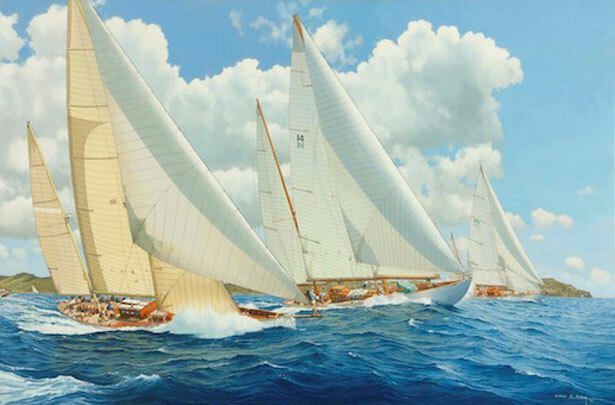 Depicting the yachts Sincerity of 1928 at 88ft. a Baglietto design , Sumurun of 1914 at 94ft. a Wm. Fife design and the Mylne designed Mariella at 80ft. They are shown racing away from the start.